Jeremy Geddes: What If Gravity Gave Up? We live in an incredibly sophisticated world that seems to spin more and more rapidly out of our control. But there’s a mystery and an energy to it that’s very compelling, and even dangerous. Who knows when some unknown force is going to snap? How can we be so sure that gravity will continue to hold us down? Life itself seems to be hanging precariously balanced in the universe. But upon that fulcrum sways a terrifying beauty. 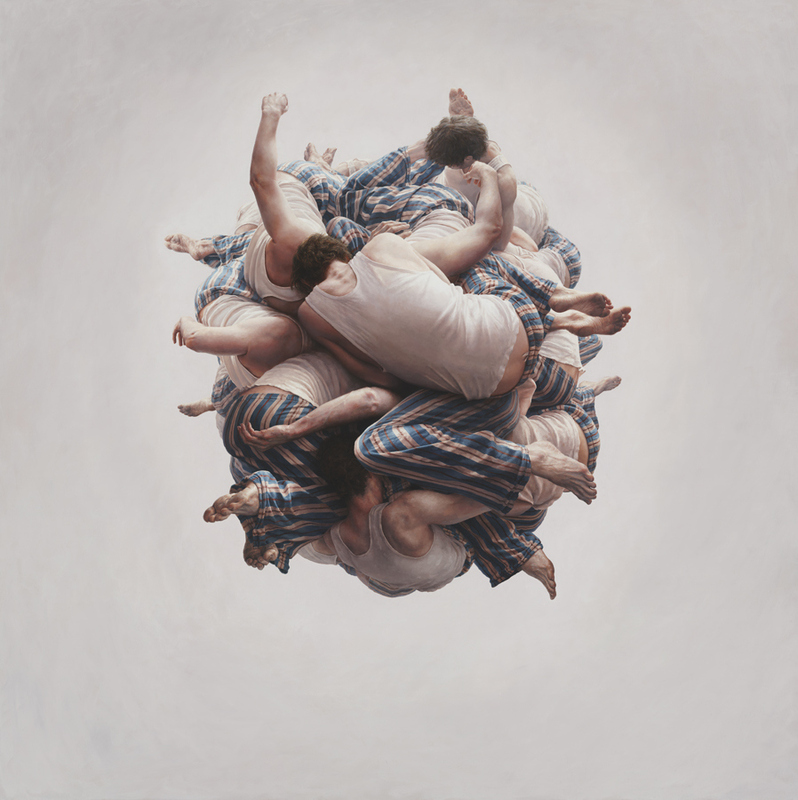 And none portray this better, or more beautifully, than the Australian photorealistic painter Jeremy Geddes. I mean, talk about intrigue! I chanced upon his work while doing research for a painting of my own and was astounded at the world he’d created. A world quite familiar to our own, but perhaps a few more years out. Or not. A true master in his technique, gesture and concept, I find anyone hard pressed to locate another artist so acutely aware of our own universal balance than he, in the little time it would seem we have left. I strongly suggest visiting the following links and even purchasing a print if they’re not already sold out. And keep in mind that a napkin may be needed to wipe away the awe-drawn drool pooling across your keyboard.